Why Become a Premium Subscriber? Where Does a Premium Listing Appear? What Does a Premium Listing Include? 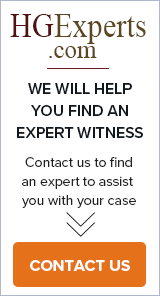 1,100,000 unique visitors come seeking legal help on HGExperts.com and HG.org each month. Your Premium Listing will appear on both these leading directory sites. As with any other online search, the listings that get the most attention are the ones that appear higher in the results. You can make sure that your company holds one of these coveted positions for all of your areas of expertise when you purchase a Premium Listing, or if you are already a Basic subscriber, you may upgrade from a Basic to a Premium Listing. Premium Listings cost US$295/year. Or US$550/year if you include more than 50 areas of expertise. You can create your full Premium Listing in minutes. It will be posted online after your payment has been processed. Your listing will appear on both HGExperts.com and HG.org. In addition, it will appear on each applicable HGExperts.com directory (expert witness, forensic expert, litigation support and legal speakers' directories). Premium Listings can be managed 24/7 in your account. Updates are unlimited and free of charge. We offer complimentary editorial service to help you edit your Premium Listing and choose the right keywords. industries have more categories available than others. If your area of expertise is not listed on our database, you can create up to 6 additional areas to fit your specialty. Premium subscribers can publish legal articles to highlight your expertise on our directory. Premium subscribers have the option of purchasing Top of Directory position for each area of expertise they cover, if available. We bring prospective clients to your website - Our website is a premier source of information for law firms and their attorneys, businesses, paralegals, and insurance and government agencies who are looking for expert witnesses, legal speakers and various other Litigation support service providers. Fast and efficient searches - Our directories make it easy for prospective clients to find your company right from the front pages of our popular websites. Attorneys contact you directly and you retain 100% of your fees. A Mini-Listing summarizing your Premium Listing information appears on the applicable directories which links to your full Premium Listing via a "More Information" link and your company name. This Mini-Listing includes your company name, city and state (or city and country/province), contact name, phone number, picture/logo, a list of directory types where your listing appears, link to your HGExperts.com Articles page, and the first 300 characters of your company description. Your company will be listed in our directories based on your areas of expertise and by which types of services you offer: expert witness, medical expert witness, forensic expert, legal speaker, and/or litigation support. Your company will not be listed by location. However, your company information includes your location, areas of expertise, company name, and articles published by your company. Subsequently, thanks to our powerful search engine, each word or group of words entered relating to these fields, will result in your Premium Listing appearing in the search results. This will improve your online visibility and bring more prospective clients to your website. The first time it is posted, your Premium Listing will appear in the number two position of all applicable directories for your area(s) of expertise. It will then gradually move down in position as other Premium Listings are added or renewed. As a Premium subscriber, you are also eligible to purchase Top of Directory position for each area of expertise you cover for a full 12 months, if available. See Top of Directory for more information. What Does an Annual Premium Listing Include? You can create your own listing or let a member of our team of experts do it for you. This editing service is included in the cost of your listing. Company name, contact information - one address per Premium Listing, email address, website and phone/fax numbers. Your logo - Your logo or photo will be posted at the top of your listing. Listing title - The title of your listing will help prospective clients understand the core business of your company (Example: "Computer Projects and Software Failure Consultants & Expert Witnesses"). It will also appear on the local directory for your Mini-Listing. Your areas of expertise - There are hundreds of areas of expertise to choose from and you may select up to 50 at no additional cost. The number of pre-selected categories depends on the type of industry, some industries have more categories available than others. If you would like to list your firm in more than 50 areas, the total cost for your Premium Listing will be US$550 per year. 6 additional areas of expertise* - You can create up to 6 new areas of expertise to fit your specialty. Multiple directories - Your listing will appear on our expert witness, forensic expert, litigation support and speakers bureau directories (when applicable) on both HGExperts.com and HG.org for each area of expertise you select. Your company description - You may include a comprehensive description of your company, your services, your legal and professional experience and much more. If you have additional offices, you may enter this information in these description fields. Access to your website - Potential clients may access your website and its applicable pages from your Premium Listing. Articles on HGExperts.com & HG.org- Each of your articles will be linked automatically to your listing and include your website URL, offering additional exposure to your publications and your company. For information on how to take advantage of this feature, see Publishing Articles. 100% searchable directories - Our directories are fully searchable by area of expertise, name and location, and any word or word groups contained in your listing. * NOTE: The additional six categories added/created by our Premium subscribers for their individual listings shall NOT be added to the "pool" of areas from which all of our subscribers may choose from to display in their listings. Therefore, these extra "areas of expertise" categories listed on HGExperts.com, from which our visitors/searchers may choose (Expert Witnesses by Areas of Expertise), are not available for selection in your Listing Form. If a Premium subscriber wants to include any of these extra categories which have been created by other subscribers, in his/her own Premium Listings and be included in those directories, he/she will need to add the extra category as one of his/her own six "additional categories" in his/her Listing Form. Free article publication - Articles have proven themselves to be valuable marketing tools for expert witnesses, in all locations and areas of expertise. Submitted articles are published on the HGExperts.com Articles section, and if they are related to law, they will also be published on the HG.org Legal Articles section. Your articles are linked to your Premium Listing and vice versa. Learn more about Publishing Articles on HGExperts.com. Top of Directory Position - You can now post your Premium Listing at the Top of the Directory for your main area(s) of expertise for a full year. Learn more about Top of Directory Position. To list your company on HGExperts.com and HG.org, and start attracting more customers, please click on the button below. Your Premium Listing will be added to our directories and appear online upon payment. If you already have a Basic Listing on HGExperts.com, please Sign in to access your account. You can upgrade to a Premium Listing from your Account Management page. You can even enter all the relevant information you would like included in your Premium Listing and preview how it will appear before upgrading. HGExperts.com and HG.org screens all listing applicants for validity and reserves the right to refuse to post your listing or to remove your listing, at our discretion, if you do not adhere to our editorial guidelines, or should we determine your business/company is not legitimate or misrepresents its business, services, etc. in any manner.